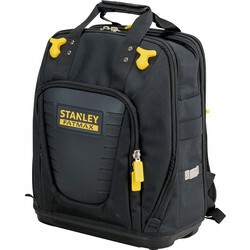 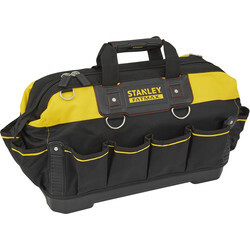 Carry all the essential tools you need for a job comfortably and easily with the Toolstation range of tool bags. 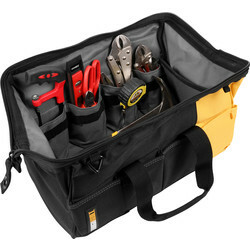 We stock tool backpacks, tool tote bags, canvas tool bags and many more from expert brands including C.K Magma, Draper Expert, Plano and Roughneck. 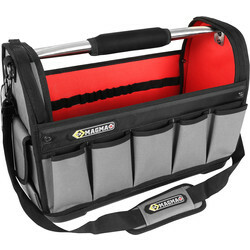 View a selection of tool backpacks for hands free transportation, such as the C.K Magma tool backpack with 31 pockets and fold out panels for easy tool access, mobile phone holder and document pockets. 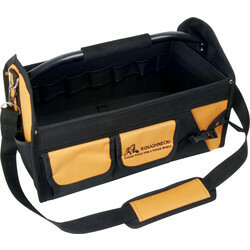 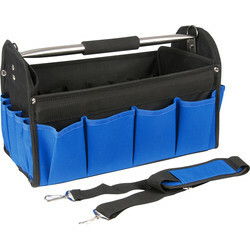 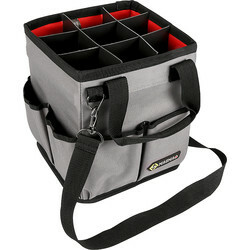 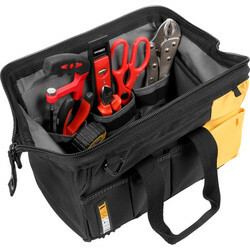 Find tool tote bags with many different functionalities, including a 3 in 1 tool tote bag with vertical pockets for storing silicon and glue, or the open tool tote bag with a rugged polyester construction and rigid frame. 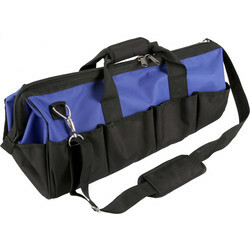 To transport large tools, choose a canvas tool bag made of heavy cotton canvas, such as the canvas tool bag with strong webbing handles and a heavy-duty nylon zip, available in sizes up to a metre long. 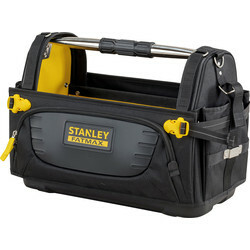 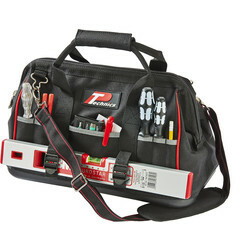 To transport small tools, the Plano tool bag is ideal with an adjustable belt to carry tools easily during the job. 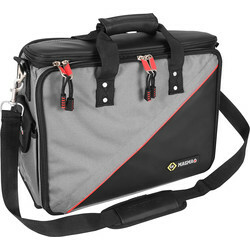 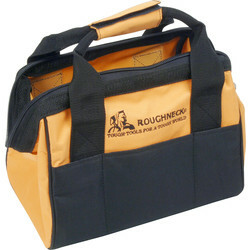 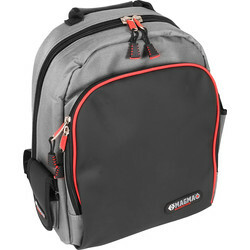 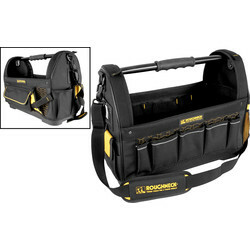 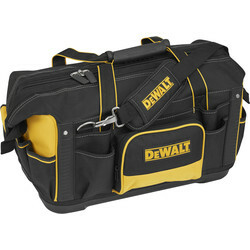 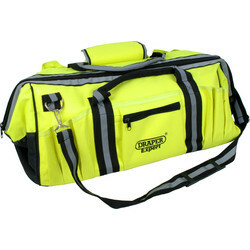 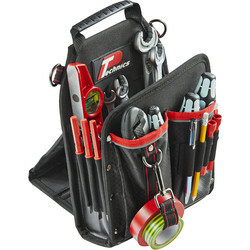 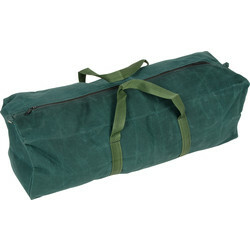 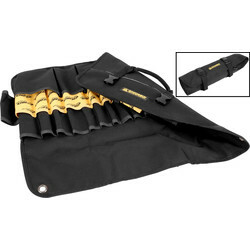 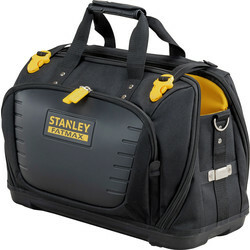 Other tool bags available include tool roll bags, open tool bags and more. 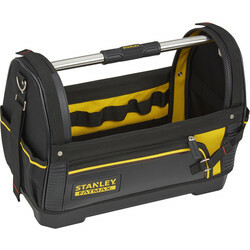 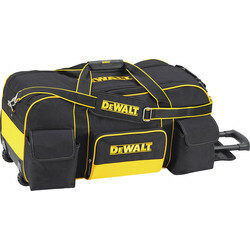 66162 C.K Magma Open Tool Tote 18"
26831 Stanley Fatmax Backpack 18"
47893 Stanley Fatmax Tool Bag 18"
50287 Dewalt Rigid Top Bag 19 1/2"